The California Lemon Law for Boats helps consumers who have a defect or (series of defects) that diminish the safety, performance, usefulness or value of their boat to obtain relief by requiring the boat manufacturers to repurchase or replace any vessel where boat dealers or an authorized repair facility have not been able to repair the defect(s) in a “reasonable” number of attempts. California’s Boat Lemon Law applies to power boats, sail boats, yachts, jet skis, and any other kind of consumer water craft that has a warranty covering the vessel, its systems or any of its components such as the engine or generator. Boating safety is extremely important in Boat Law and being stranded in open water, not getting a storm update or having a navigation system that doesn’t function properly can be deadly. 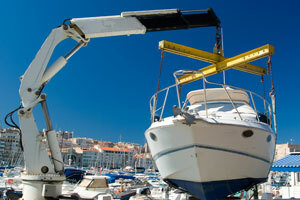 The CA Boat Lemon Law protects boat owner’s rights from being stuck with a boat suffering from warranty problems. If you think you may have a Lemon Boat or any other kind of Lemon Watercraft, then don’t delay in giving our experienced Boat Lemon Law Lawyers a call at 213-282-2000. In addition to having a dedicated Lemon Law Boat Attorney handling your case, we will spare no expense in researching or litigating your case. Our Firm has an in-house research and development department that will exhaustively research every minute detail of your boat’s history and repair record to make sure that you receive the highest possible settlement. The Law Offices of Robert B. Mobasseri specialize in the Federal and California Lemon Laws and actively keeps up to date on new laws and recent settlements that might strengthen your case. While our CA Boat Lemon Law Lawyers will strive to get you a settlement outside of court as quickly as possible, if the manufacturer of a defective boat or one of the boat’s components doesn’t offer you a fair and just settlement, our firm will not hesitate to take the boat's manufacturer, component's manufacturer or a liable boat dealership to court to make sure you are properly compensated. If you have purchased a boat or some other water vehicle with a manufacturing defect that impacts the performance, usage or value of the boat, then your boat might be a Lemon and you may be entitled to receive monetary compensation including having the vessel replaced or repurchased. Our CA Boat Lemon Lawyers are happy to answer any of your boat law questions, so either give us a call at 213-282-2000, or fill out our FREE Lemon Law Boat Evaluation Form to see if you may qualify for consumer protection and relief under The California Lemon Law for Boats.